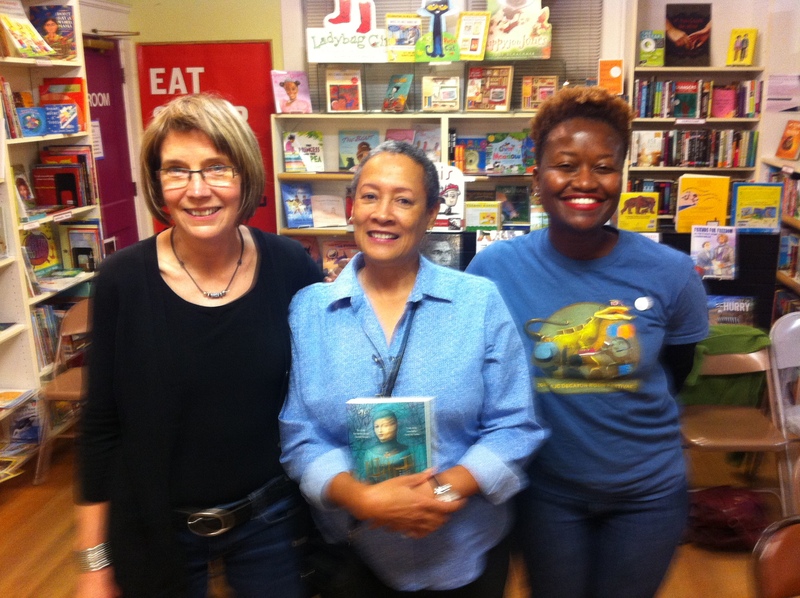 I ventured out of the house and went to Charis Books and More’s 40th birthday celebration. 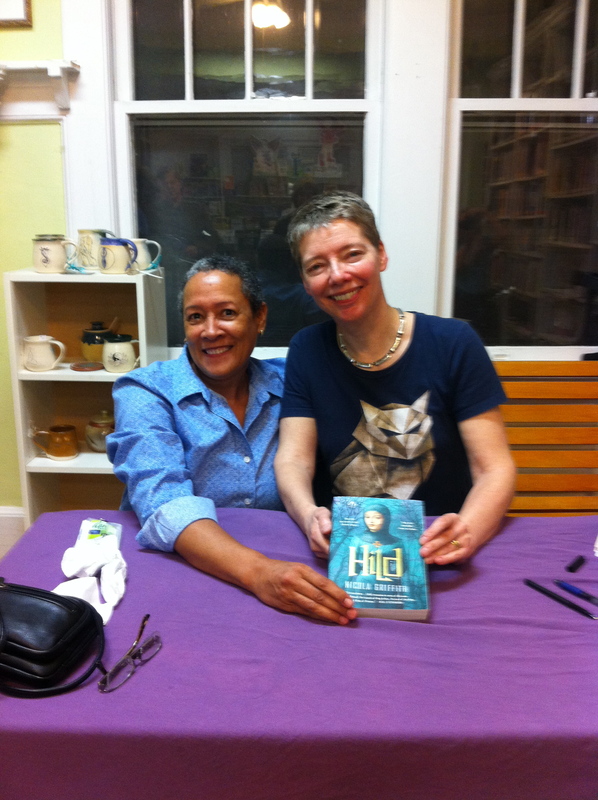 Nicola Griffith kicked off the celebration by reading from and talking about her latest book, Hild. It was fantastic! As a side note: Ever since I read The Blue Place, by Ms. Griffith, I decided I’d like to meet her in person. The list quickly expanded to include Kelley. I love it when the universe grants a bucket list request with no muss, no fuss. Oh, what a feeling. Oh look; here I am, posed with Kelley Eskridge and Fiona Zedde. Hild never left my hands! Happy 40th Birthday, Charis, and thank you. It was so lovely to meet you! And thanks for coming! It was lovely to meet you as well.